Sorry, delicious ice cream. Back to you. I told you not to doubt the Pioneer Woman before and now I`m telling you not to doubt David Lebovitz. He`s an expert on this kind of stuff! I mean, the guy lives in Paris. HOW COOL IS THAT?! Anyways, I totally loved loved loved this ice cream. You can definitely taste the fresh mint leaves and it tastes more herb-like compared to the mint ice cream you buy at stores/shops. Highly recommended and will definitely make this again! I also want to mention that even though I loved this recipe like crazy, D (my youngest sister) and J (my boyfriend) thought this was only "okay". 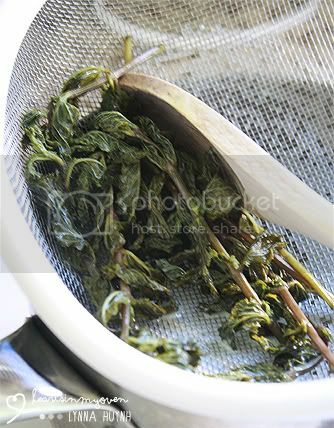 They preferred the taste of artificial mint compared to the actual mint leaves. On the other hand, a few of my friends who was able to try this thought it was really good! So give it a try, people! And because he wrote a book called The Perfect Scoop and all...I didn`t really want to change or alter his recipe. The only change I made was that I reduced the sugar amount slightly. Thus, I will link you guys to the recipe on his lovely site. Honestly, this was a really fun and cool experience. 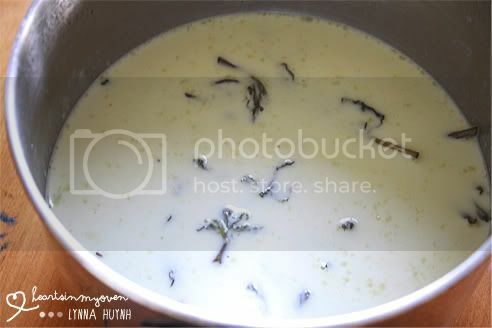 I felt so boss with mint leaves in my milk/cream mixture. It totally looked like I knew what I was doing. LOL. 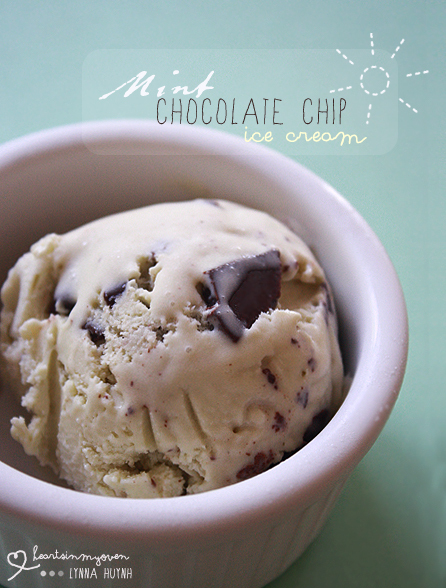 I love the choc mint combo! I am so keen to try it his way too - been eyeing out his recipe for a long time :) Yours looks so good! i wish it was summer here! We are just going into winter - but my theory is any season is a good season for ice cream! I eat ice cream throughout the year too! :) I used less mint leaves than the recipe called for, but it was still plenty minty. This is awesome! I love that you've used real mint, too. Looks divine! It was only $25 at costco! I was so happy. :) & ME TOO. this seriously is my favorite ice cream flavor. You should definitely give this recipe a try then!